Do you want to join me on a journey back in time? Back in 1967, 44 years ago, Nikon introduced the first ultra wide angle lens which could be operated in a normal manner, without requiring to lock up the mirror. 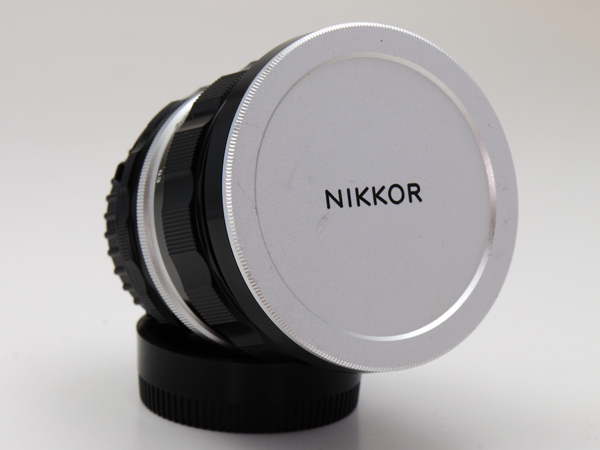 Due to its optical design, it’s predecessor the famous Nikkor F2.1cm/4 Nikkor-O required to lock up the mirror. 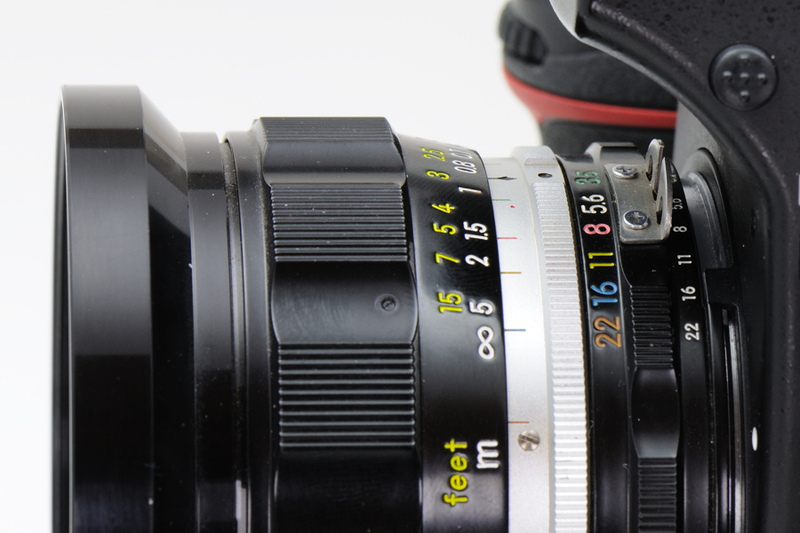 To get a view at all, a small viewfinder had to be connected to the camera body, reducing the versatility of a SLR. Naturally, Nikon was interested to bring a UWW lens to the market which was able to leverage the power and benefits of SLR cameras in this important focal length range, giving birth to the great 20mm/3.5 Nikkor-UD Auto. For the first time, it enabled photographers to to experience 94 degrees of view simply looking through the viewfinder. There was obviously market demand for this kind of lense, proved by more than 40.000 sold copies between 1967 and 1974 (according to Roland Vink’s website). To be followed by the next ultra wide angle lens, the compact Nikkor 20mm/4. Looking and touching the Nikkor-UD today, one can’t help to realize that it started its life in a “pre-plastic” time, where lenses were manually put together and painted by humans – somehow a piece of art. It look like the lens contains only 2 materials – metal and glas. With that condition it is more than twice as heavy as its current successors. 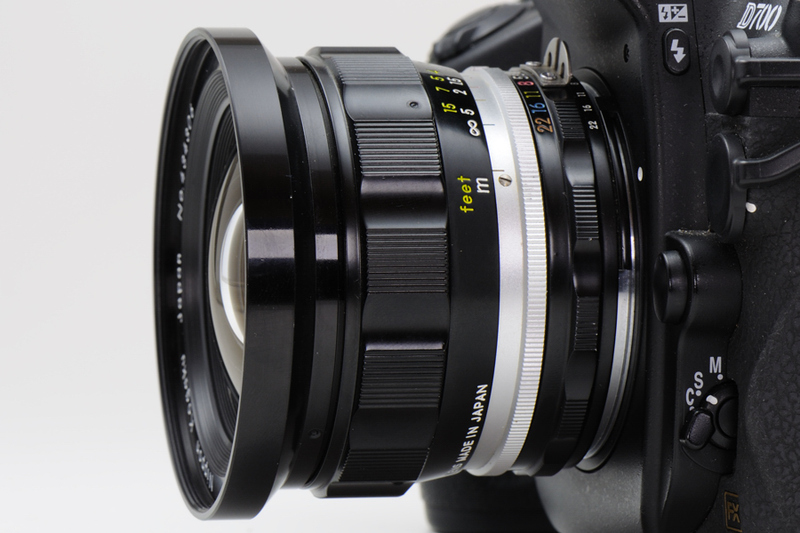 Bjorn Roslett reviewed this lens on SLR bodies (no digital) with overall good remarks. He especially pointed out the overall sharpness, a tiny bit of softness in the corners (gone above f5.6). Excellent field curvature. Heavy ghosting in direct sunlight, potentially a tribute to the practically non-existing coating techniques for optical glass at that time. Anyway, the tactile feeling of this lens is very special. Someone can’t avoid the impression that it is seemingly built for the eternity. My copy got a factory issued Ai coupling which allows me to use this 44 year old gem on the most recent high tech digital cameras. This is what I would call customer investment proetction and continuity with Nikon. Very cool for a 44 year old lens. 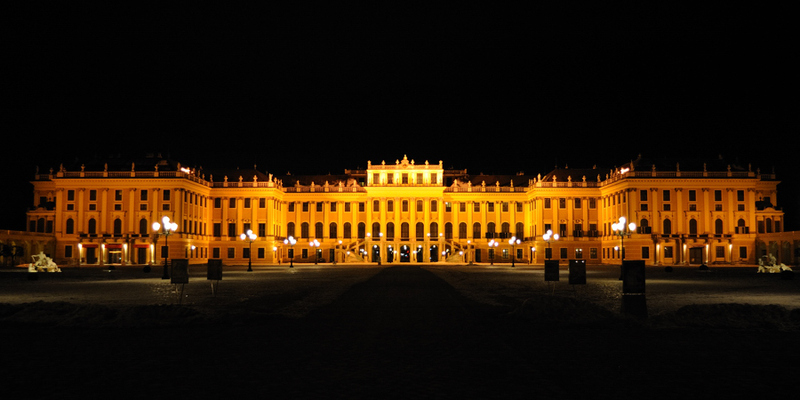 This photo of Schönbrunn palace was done handhold, with a D700 at ISO 1600. 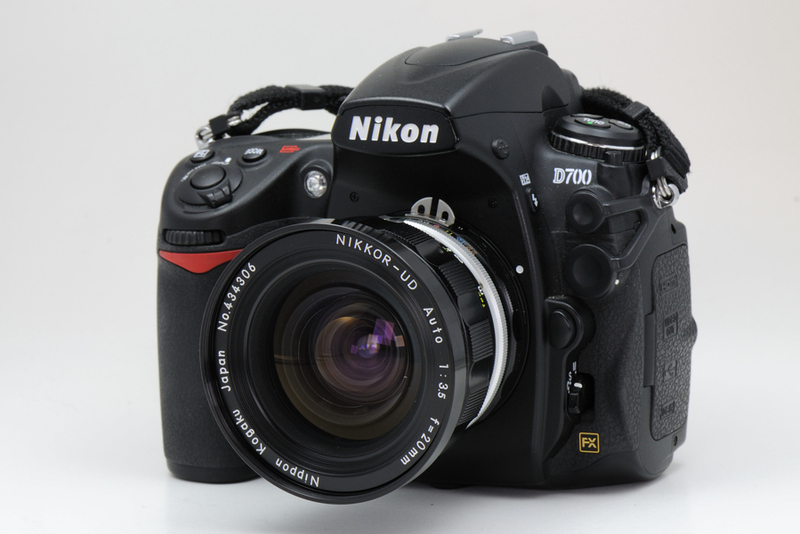 Due to the relatively high weight, it balances well with the D700. Why can modern focus rings not be so smooth? 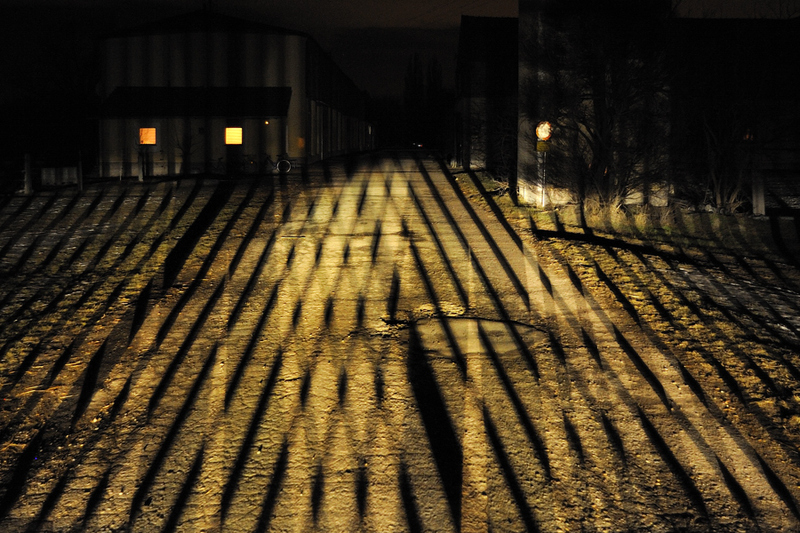 Check out the painting of the aperterture stops. Optimized production process obvisiously looked 1967 a bit different than today. Overall the Nikkor-UD is quite short, but relative to its successors it can be considered long. 1967. This was the time when lens covers were made from metal. The huge rounded front lens required a 72mm filter. All successors either accepted a 52mm or 62mm filter size. If someone would ask me why i have so much interest in Nikon cameras and Nikkor lenses, the 20mm/2.5 Nikkor-UD Auto is a perfect example to explain this hobby. Nikon succeeded to produce a lens 44 years ago, which can still be operated and enjoyed on today’s most modern cameras with a fantastic image quality. Thank you Nikon. I’m just wondering what functions are lost on a modern camera, is any. Does it autofocus and meter, etc? 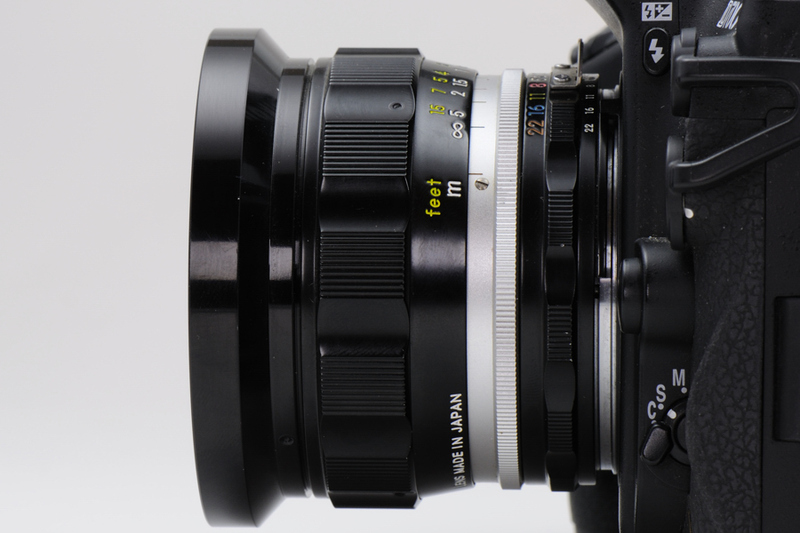 MF lenses lack AF capabilities – by design. Metering in Mode A works like a charm. For “P” and “S” the camera has no possibility to set the aperture ring on the lens. As I am mostly in Mode “A”, it works very well. I have this lens. I like many things of it, however I always have (on film) the edges of the image very blurred, even if I stop down. I am trying to understand whether it is normal for this lens or I may have a bad copy. Can you help?